Premier League winner Michael Gray, believes that Manchester City’s Fernandinho is as good as the Chelsea midfielder. Kante was crucial to Claudio Raneiri’s 2015/2015 title winning campaign with Leicester city. The Frenchman mastered the expectations of a holding midfielder with his phenomenal man marking and interception, reminding the media of another countryman Claude Makelele who changed the modern game. His performance earned him a summer switch to Chelsea, where the Frenchman claimed a consecutive league success under manager Antonio Conte. Now boasting a World Cup winner’s medal after a successful summer with France, the 27-year-old’s stock could not be higher, despite being used in a No 8 role by Chelsea boss Maurizio Sarri. The closest to the Frenchman in the Premier League is the Brazilian and Manchester city holding midfielder Fernandinho who formed the midfield enforcer of Pep Guardiola’s side last season. The 33yr old is currently on the sideline with a thigh injury, and this believed to be the reason for Manchester city poor run of form. The champions have lost three of their last four games in the league. And former Sunderland winger Gray believes City’s rough patch have given credence to the importance of Fernandinho. “Look, [Fernandinho is] one of the best,” Gray told talkSPORT. “I put him alongside Kante. 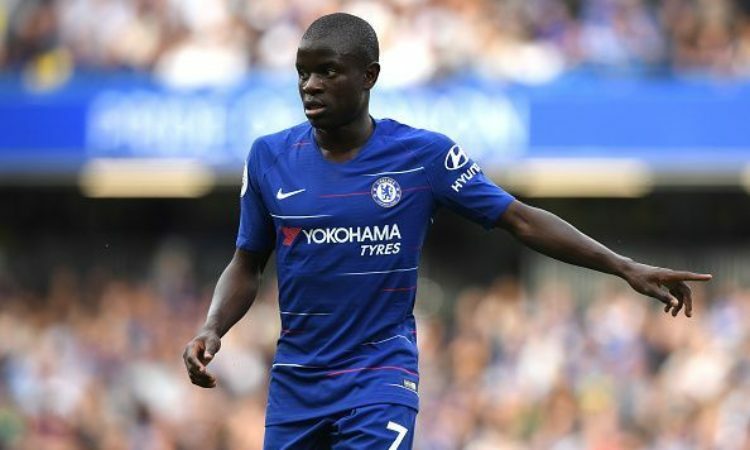 I know Kante’s had a lot of plaudits over the last couple of seasons – and rightly so, he’s a phenomenal player in that position. “Fernandinho is as good as him. That’s how highly I rate him. He is, there’s no argument about it.